Walter is passionate about showing people the right pathway to success putting people closer to their goals every day while keeping the FUN-damentals in place for sustainable fitness. Keeping it enjoyable. He has coached and guided triathletes to New Zealand and world age group titles since 2001 as well as top 3 results in the Speights Coast to Coast along with NZs premier marathons as a full time professional coach. He also holds the Level 3 Coaching certificate, which is New Zealand’s highest pinnacle of Tri NZs accreditation pathway for coaching. Walter is the founder and coach of Go2max Endurance coaching since 2001. 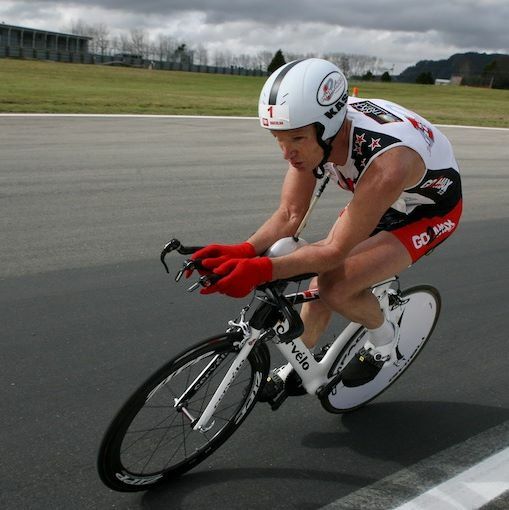 He is a 2 x New Zealand long course elite triathlon champion and World age group champion with 30 years of Endurance sport experience. He held the prestigious NZ Port of Tauranga Half Ironman 2k swim/90 k bike/21K course record of 3 hrs 48 minutes for over 11 years. Walter also spent 5 years as a professional athlete based with Japans leading Ironman team. To help turn those with limitations into what others now call talented, and those people with limited talents into champions.